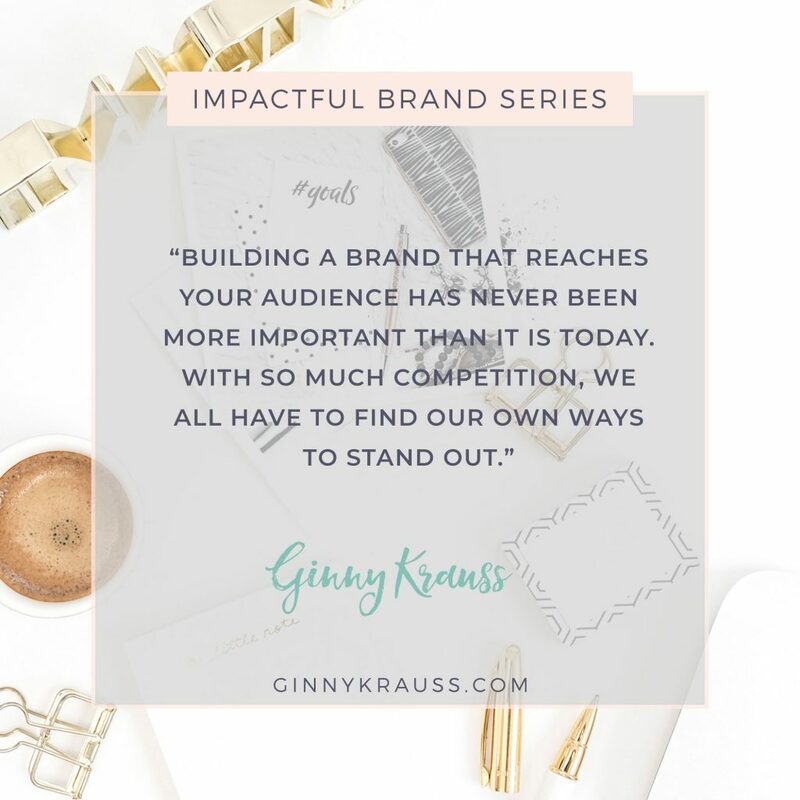 Before I dive into today’s topic, I want to introduce you to what the Impactful Brand Series is and what you can expect over the next ten weeks. As a Brand Strategist, I see so many of the same cookie cutter brands time and time again. Pretty colors, cute fonts, words on an Instagram feed – but all of it is clearly done without intention, or what I like to refer to as STRATEGY. That’s exactly why I developed the Impactful Brand Series. There are many ways you can build a brand that is SO MUCH MORE than the visual elements – ways in which you can pang your ideal client right into their soul. So, I have invited nine of my smartest Biz Besties to share their expertise in their respective fields on how you can go beyond your brand and elevate it that much more in 2018. 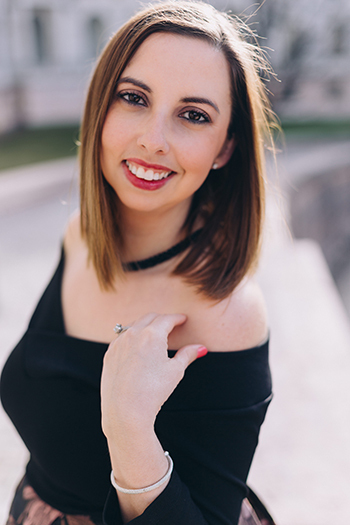 Throughout this series, you’ll hear about things such as brand strategy, design, video, sharing your story, copy that converts, and even writing a book and how to incorporate your team into your brand! Be sure you check back every Tuesday for each week’s topic right here on the blog. Building a brand that reaches your audience has never been more important than it is today. With so much competition, we all have to find our own ways to stand out. The best way to do that is through authenticity and intention. But how do you start to figure out what those pieces might be and how they might actually provide an impact on your intended audience? If you could stumble across your website and not walk away knowing a single thing about the why, the heart, and the soul of that brand, then you’ve got a big problem. People like to buy from people and at the very least, brands that were created by real people. Does your website reflect the why behind your brand? The purpose & mission behind who you serve? If not, it’s time to re-think things a little. Oftentimes, people don’t know how much of their personal stories to share within their brands. It does vary with the type of brand you have, whether it be a personal brand or a company. Regardless of which one you have, there’s always room for your story and everyone loves a good story. Don’t be afraid to tell the pieces of what led you to create your business, even if you aren’t the face of your brand. If you aren’t the face and you rather stay behind the curtains, you can use this as a way to tell more about the intention of the brand you set out to cultivate. Why does your business matter? I love it when I can gain more from someone’s ideal client and the process of serving their clients by reading things like their mission or promise. What do you aim to deliver? What sets your company apart from all of the other guys? How can you promise to deliver? You can make this as personal or non-personal as you like, as long as you plan to hold up your end of your promise. Your brand should give your ideal clients an experience. They should feel like they know you and what your services or products are about, simply by the experience that you set forth for them. Think about the touch points or moments of impact, if you will. Whether someone is seeing you for the first time through your Instagram feed, website, or by referral, the experience they see and feel should bare the same consistency. The last touch point I want to leave you with is something that many people overlook or they don’t spend nearly enough time thinking through. The copy (aka the words) on your website and in your brand messaging is important. It has to say things like “Hey, this is what I do and how I can help your life/biz”. What do you offer that sets you apart? What are the results you are seeing with the work you’ve been providing? Share these messages as proof of your abilities. Trust me, it works. In just the past month, I have made two significant purchases based on the impact someone’s brand and website had on me. Before I ever got to pricing, I knew these were my people and my mind was set. THIS IS HOW YOU WANT YOUR CLIENTS TO FEEL WHEN THEY LEAVE YOUR SITE. All of these things make up a portion of your overall brand strategy, and without these pieces, you aren’t building much without intention and without intention, there is usually little to no impact. What can you do today to start improving your brand in these five key areas? This blog is part one of the Impactful Brand Series – a ten-part series to help you build an impactful brand in 2018. If you don’t want to miss out on this series, be sure you are on my email list to be notified each week when a new piece in the series is released. Next up in the series: Why You Need a Brand Strategy BEFORE Design (written by a designer).